Picking recommended ELISA Kits will save you time - yet all 21 products covered by our Money Back Guarantee! This gene encodes a subnuclear organelle and major component of the PML (promyelocytic leukemia)-SP100 nuclear bodies. 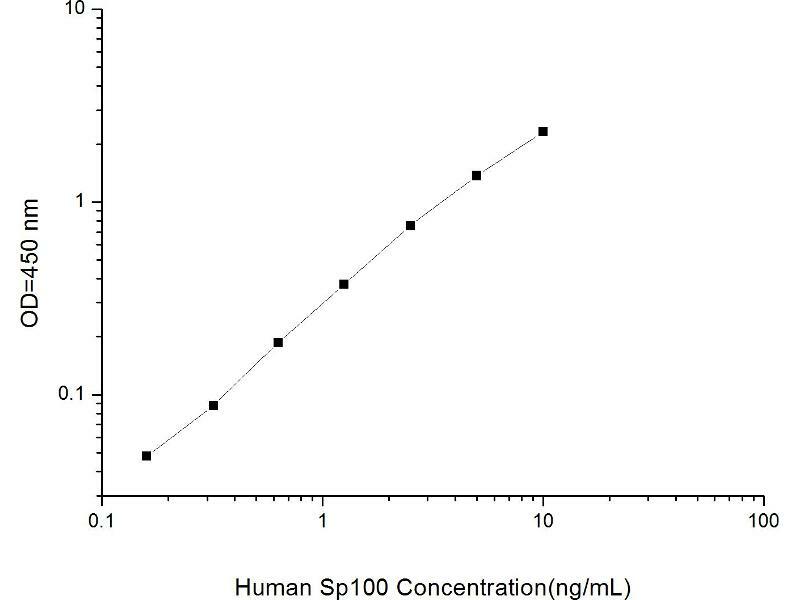 PML and SP100 are covalently modified by the SUMO-1 modifier, which is considered crucial to nuclear body interactions. The encoded protein binds heterochromatin proteins and is thought to play a role in tumorigenesis, immunity, and gene regulation. Alternatively spliced variants have been identified for this gene\; one of which encodes a high-mobility group protein.